When in Maui, Hawaii, you'll want to rent a car. Public transportation is weak at best, and the island is too big to explore without a car. Taxis on Maui are available, but they can be elusive when you really need one. The bus system on Maui can be used during the day, but you'll be stuck where ever you are at night. The last stop is at 7:45 pm. Bus fare is $1 for a one way trip and you can get a pass for $25/month (at the time of this writing 9/2010). Of course hitchhiking is an option, but a bit more of a hassle. It's really worth getting a rental, unless you don't plan on leaving your resort area. 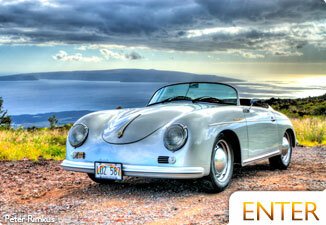 Hawaii car rentals vary in price and options. you can pay from less than $150/week for a simple compact economy car, or you can spend thousands a day for an exotic luxury vehicle (prices from 2012). If you're on a budget, we recommend a fuel efficient car. Keep in mind that gasoline is far more expensive in Hawaii than on the mainland. It generally runs about 1/2 to 3/4 a dollar per gallon more than it would in California. Maui is a small island, but it's roads are often winding and long. 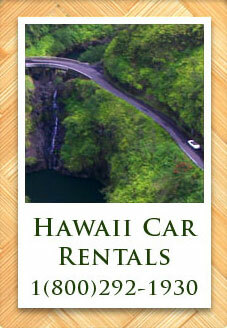 You have many options to choose from when you reserve a Hawaii car rental. These companies are wholesalers that can get your car rental at a negotiated rate. You can either rent directly through the main car rental companies (below), or rent through a third party who carries negotiated rates for all of these companies. We suggest going through the third party carriers due to there often lower discounted rates (above). These companies negotiate lower rates for a certain amount of cars to get them rented. Above is a list of these different 3rd party Maui car rental companies. 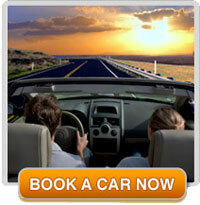 The car rental companies above offer competitive rates for the following rental cars. For those who prefer to travel in style, we suggest at least one unforgettable day in a classic car from Maui Roadsters. 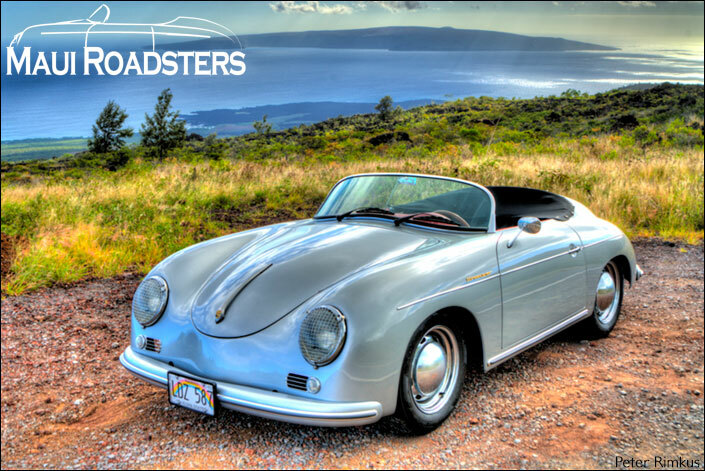 With their impressive fleet of 1957 Porsche Speedster reproduction convertibles, this is the perfect way to explore Maui's most remarkable sights in a car you'll return home dreaming about. Rentals are offered for 4 hours or 12 hours. Please contact Maui Roadsters directly at (808) 339-6204 for more information. 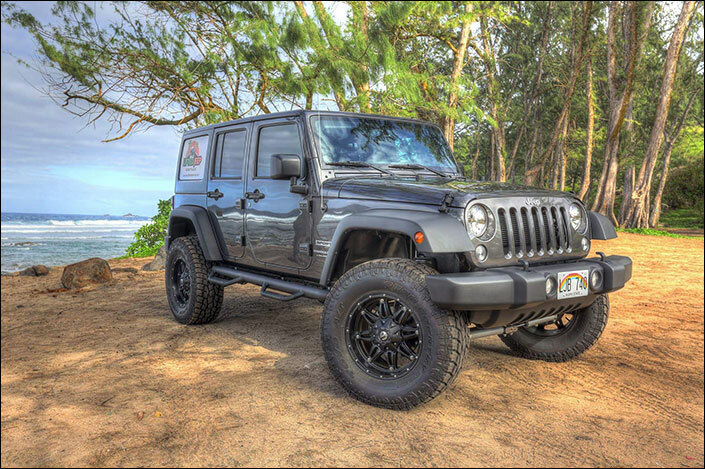 For travelers who want to tour the island like a local, Maui Lifted Jeep Rentals offers endless adventures in their fleet of 2018 Unlimited Sport Jeep Wranglers. Built to include top amenities like anti-lock braking, alloy wheels, cruise control, traction control, fog lamps, stereos and automatic transmission, each Jeep also comes lifted for added convenience. Choose from an array of popular colors, and head out for a drive to some of Maui’s most scenic areas, including La Perouse Bay, Haleakala Highway and even the backside of Hana. Maui Lifted Jeep Rentals offers affordable daily and monthly rates with no hidden charges or costs, making it one of the most convenient and reliable options for your upcoming road trip of a lifetime. The Road to Hana is reason enough to rent a car in Maui. If you plan on taking the long road to Hana, it's best to get a convertible, or something that will keep you comfortable with enough window space to see everything along the way. If you get a convertible, plan on stopping every once in a while to put the top back up. There's good reason for Hana being so lush and tropical; the Hana Hwy is a rainy place. Please, make certain to pull over in a safe place on the side of the road. Locals and visitors alike would rather see you get a little wet than stop in the middle of the narrow road and cause an accident. Some other things to consider when renting a car in Maui are the restrictions and hidden fees associated with the rental. Below is a short list of questions that should be answered before you reserve your Maui auto rental. Important Questions to ask when Renting a Car in Hawaii. 1. Are there age restrictions? Do you have additional fees for drivers under 24 years old? Do any ages require provisional insurance? At least Alamo, Dollar, Enterprise, and Thrifty all require additional fees for ages 21-24. 2. Do I need to get Insurance? People often get tricked into paying for insurance for a rent a car. If you have car insurance at home, you most likely are already covered for your rental. MAKE SURE TO CHECK WITH YOUR INSURANCE COMPANY! Some companies automatically pay for your rentals insurance and some don't. If you rent a car every year on vacation or business, you may want to pay extra to get insured by your own company. The $5-$15 per day for rental insurance adds up quickly. Some credit cards even provide primary collision coverage. Check it out first and save some money. But in saying all of this, make sure you are insured one way or another. These roads are dangerous, especially to Hana and the West Side. The Pali, the winding cliffy section between Maalaea Harbor and Lahaina, is particularly dangerous. This portion of road claims at least a few lives each year. Even a small accident can turn fatal if you're pushed off the side of the road. If you've gone on a snorkel cruise to Coral Gardens, you'll have seen all the crushed cars lining the bottom of the cliffs to the West of Maui. 3. Do Maui rental car companies provide infant or child safety seats? A lot of the companies offer them with an additional charge. You will want to reserve them ahead of time. 4. What other charges can be expected with the rental? Often rental agencies tack on airport surcharges, pick-up fees, insurance, mileage, and sales tax. Some of these things you can't get out of, but make sure you know exactly how much it's going to cost before you give them a credit card number. 5. Do I have to use a a credit card online to reserve my rental car? Some companies will let you reserve your automobile without putting a card down. If you're at all wary of giving out this information online, this is your best option. 6. Is theft of valuables covered with my car rental? Maui criminals are few and far between, but we do have our share of thieves. Car rentals in Maui are the prime interest for thieves. Even locking your things in the trunk will not stop them. Leave your valuables at home to be safe. Some homeowner insurance policies will cover this for you. 7. Do I get unlimited mileage with my Maui car rental? Most of the major car companies will give you unlimited mileage. 8. Should I accept the fuel purchase plan? If you think you won't have time to fill up before you return the car, yes. Otherwise, save your money and fill it up yourself. Car rental companies will charge you a lot more for having to fill your gas tank for you. 9. Do additional drivers cost more? Most companies allow your spouse to be added at no additional charge. If your other driver is not married to you, you'll most likely pay more each day for your rental. 10. Does my Maui car rental company allow for international drivers license? Most allow for international drivers so long as they have a valid Driver License from where their citizenship lies. 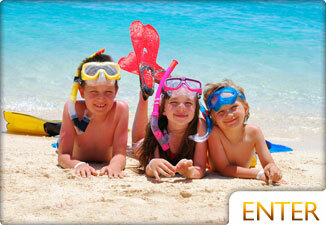 We hope that this information has helped you in your Maui Car Rental search. Again, be certain to have insurance coverage in some way or another and drive safely. The law is extremely strict with drinking and driving as well as seat belts. Also, keep an eye on the speed limit. You'll see that the island is built for slower driving and the police are very aware of this. You may not see many police vehicles in Maui, but the second you go a little too fast, they'll pop out of the bushes and nab you. This isn't the ideal situation to be involved in on your vacation.